In 1880, J.G. Birkmeier opened the original family memorial company along the banks of the Miami Erie Canal in Delphos, Ohio. The reputation for craftsmanship and quality that J.G. Birkmeier was known for 120 years ago are still quite evident in Delphos Granite Works today. We produce quality monuments guaranteed to withstand the test of time. Delphos Granite Works was founded in 1991 by C. Michael Birkmeier. As a fourth generation memorialist, Mike is following in his great grandfather's footsteps. 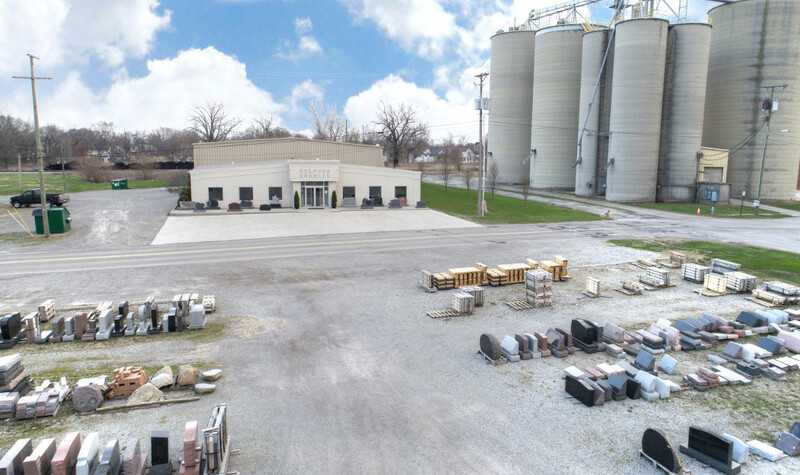 The Delphos Granite Works state-of-the-art facilities are located in Delphos, Ohio. 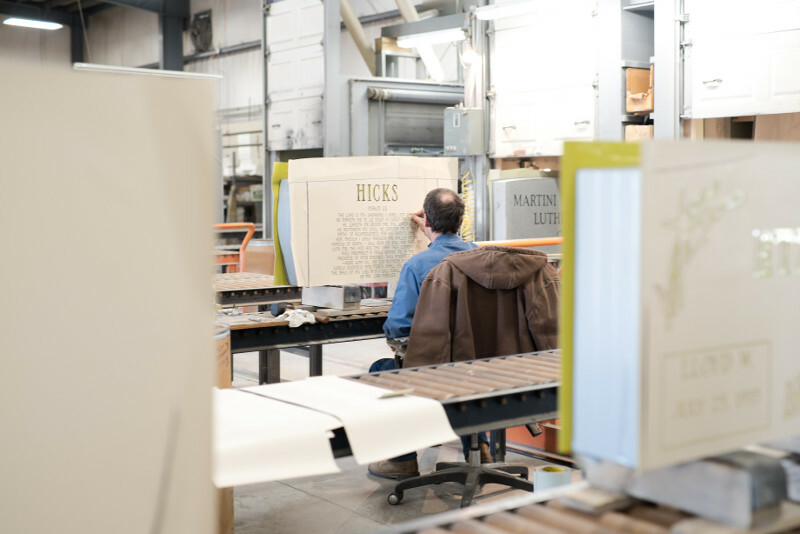 The plant offers a unique combination of modern technology blended with old world craftsmanship where we make our beautiful memorials. 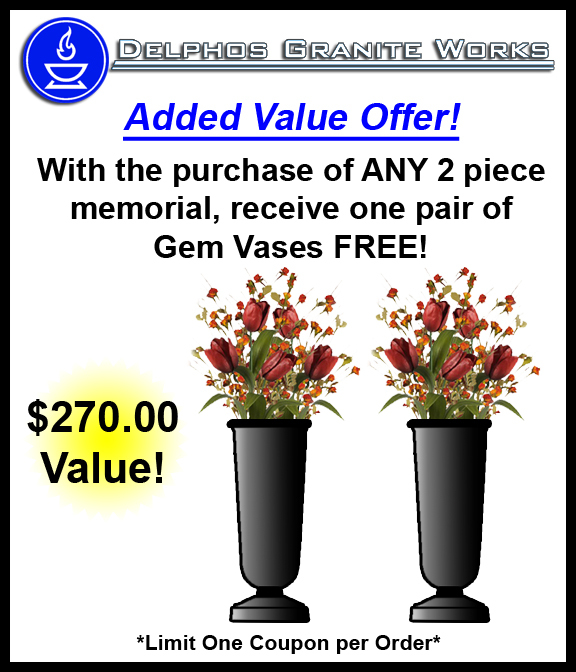 Delphos Granite Works is a full service privately owned memorial company, not a corporate agent. We have the craftsmen to do the sandblasting, laser and diamond etching, and final details on all the memorials we create. 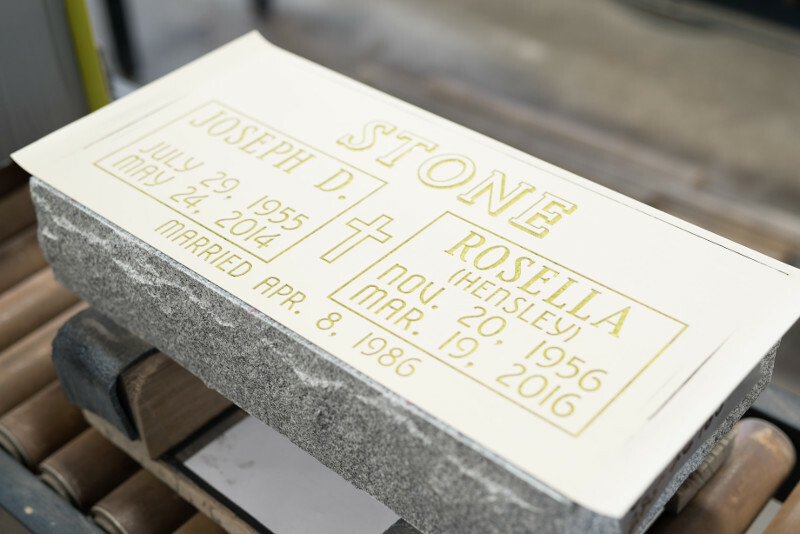 Unlike funeral homes and other retail dealers in the area, who outsource their stone work to jobbers; we do all the important work in our own factory. Our goal is to educate our customers about the different choices in granite and the various options in the stone carving process to create a unique lasting tribute, that when completed, avoids any surprises or disappointments. 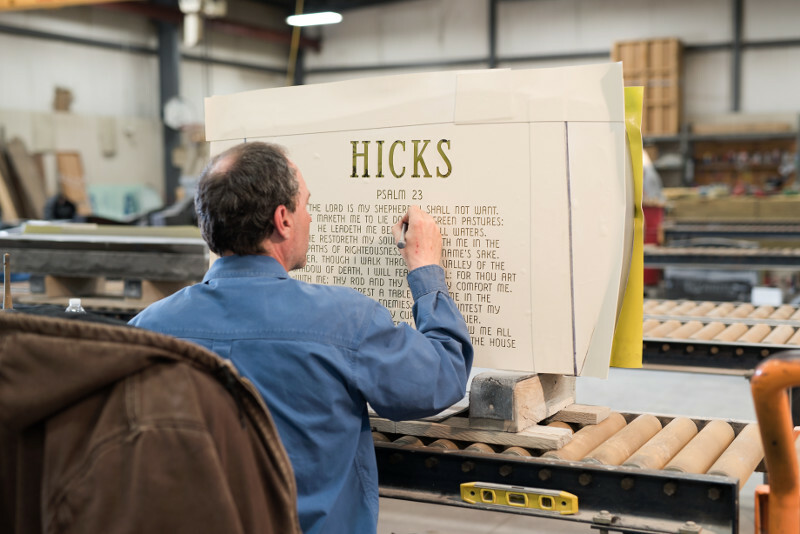 At Delphos Granite Works, through traditions of old world artisans, enhanced with modern technology, we can create a personalized memorial which captures the life of loved ones. There are unlimited options when designing a memorial and our professional staff can guide you through the process of choosing a memorial that will tell your "story in stone".